One of the major Hindu religious festivals, Rath Yatra is celebrated in India during the June/July (Rainy Season). The worship of Lord Jagannath (Krishna) forms the main part of this holy occassion that is believed to commemorate the return of this divine being to his home in Vrindavan after a long period of separation from the native people. TheHolidaySpot brings you all a befitting section on Rathyatra that consists of informative articles on the history of Rathyatra, interesting facts and legends associated to the occassion as also mouthwatering recipes tied in to the festival. Check out our Rathyatra section and if you like it, click here to pass this page on to your friends and loved ones. Have a grand Rathyatra celebration with your friends and family. Know how the Ratha Yatra festival got its roots from an ancient Hindu legend involving Lord Krishna. Check out some interesting informations linked to Rath Yatra, one of the greatest Indian festivals. Know about some popular scriptural legends commonly associated with the Ratha Yatra or the Hindu Chariot Festival. 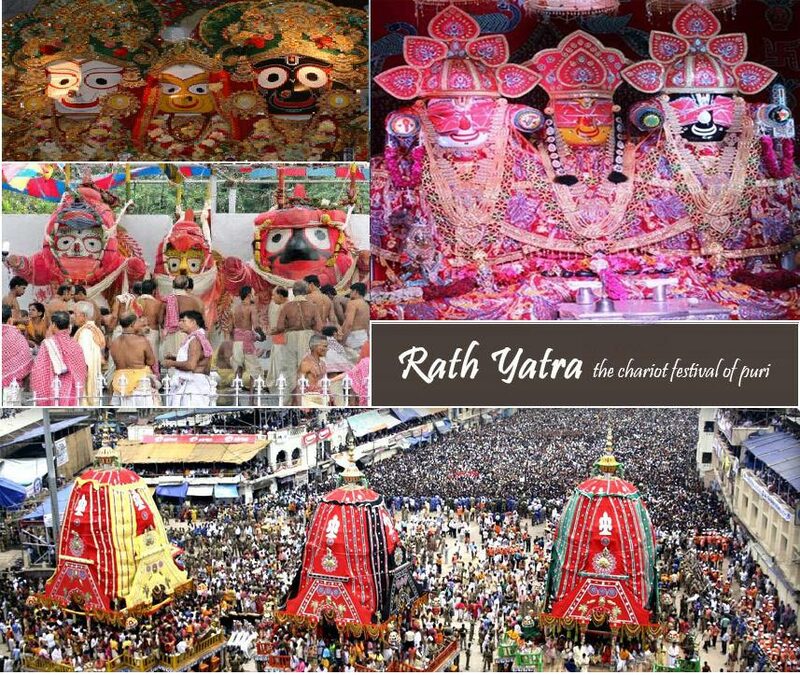 Get a glimpse of Rath Yatra celebrations in various regions of India and abroad. Go over these traditional food recipes and cook up delicious dishes at home for loved ones during Ratha Yatra. Set these awesome Rathyatra wallpapers on your desktop and even send to friends absolutely for free! Send festive greetings and hearty wishes to loved ones with these exquisite e-cards on Rathayatra festivities. Nabakalebar Utsav is the second biggest festival of Puri after Rath Yatra. Read about the detailed account of the festival.